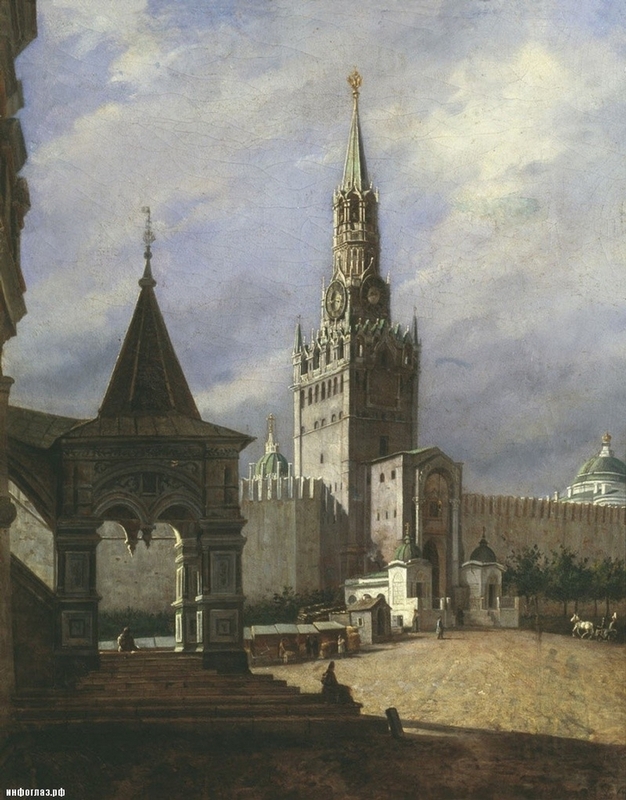 Maybe most of the people know of Moscow’s Red Square and the Red Kremlin building – the center point of Russian power and authority. However, it did not have its reddish hue in the nineteen century. Since the eighteen century the Moscow Kremlin had been painted… white. Deliberately painted white and refreshed its white coloring every few years. 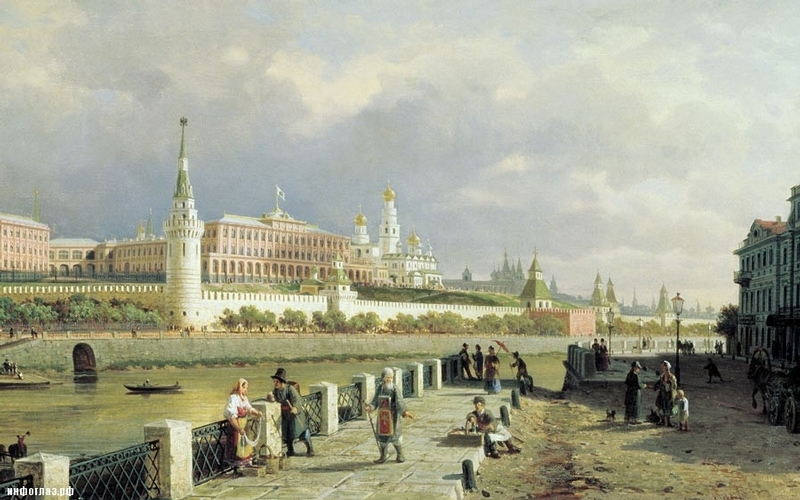 Sixty seven years ago Stalin gave an order to paint the Kremlin red. Napoleon’s army, which once stormed Moscow and occupied the Kremlin, saw it when it was white. Well not really white, as Moscow was burned down before Napoleon entered it, so the Kremlin was covered with smoke stains. 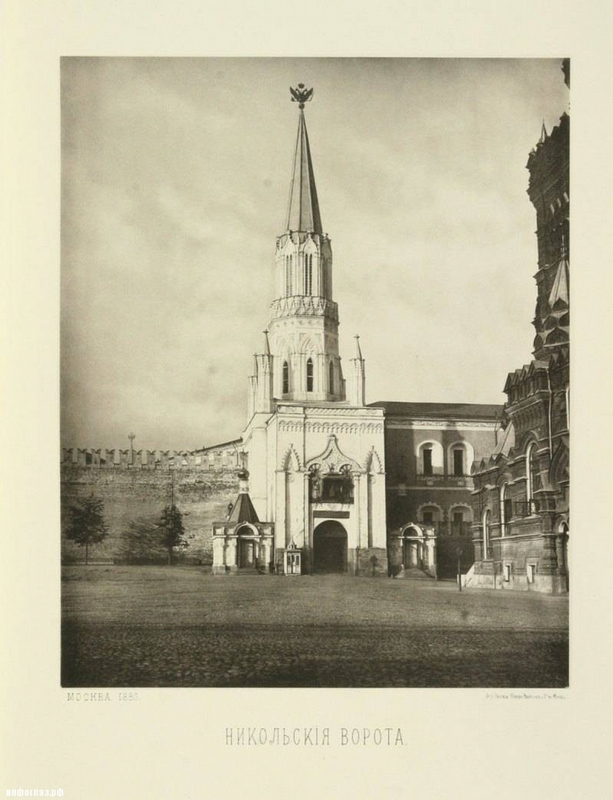 Later, when Napoleon was driven out of the Russian capital, the Kremlin was restored to its white hue again. 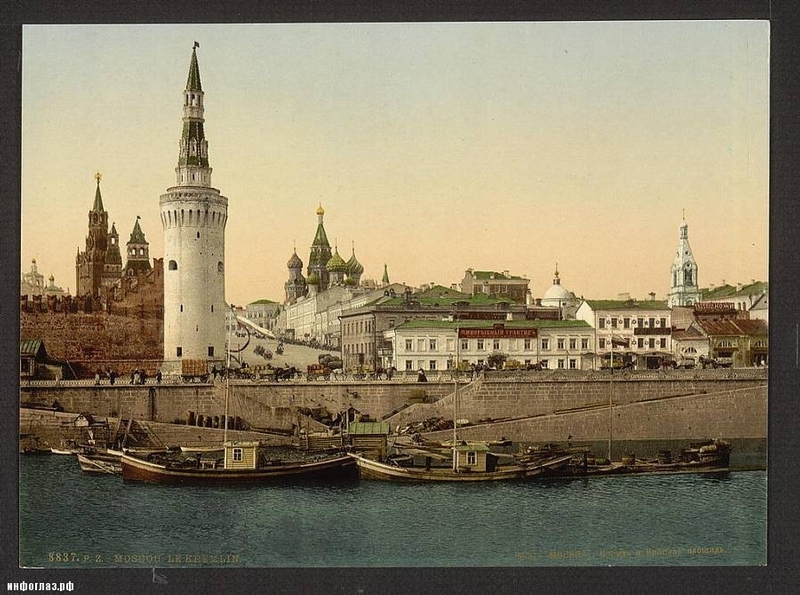 Here we have a collection of historical photos, paintings and modern three dimensional reconstructions of how the Moscow Kremlin looked in its whitish color. What was even more funny was that during WW2 at some point in time, they decided to conceal the Kremlin from air strikes and paint some other buildings onto the faces of the Kremlin walls, so it looked like blocks of random houses and not like the Kremlin. 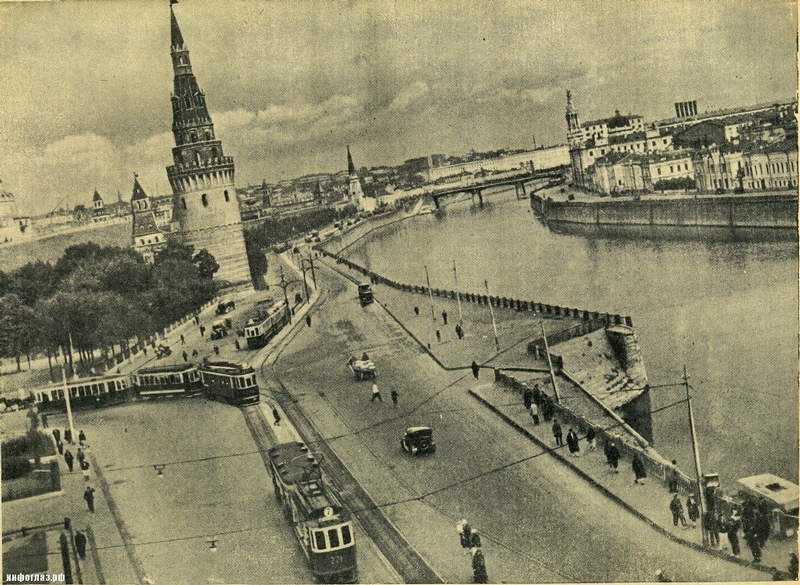 Here you can see Lenin mausoleum painted and concealed under a mock house. 1st is ideological. In 1918 Lenin moved the capital and the whole communist government to Moscow Kremlin from St.Petersburg (then called Petrograd). 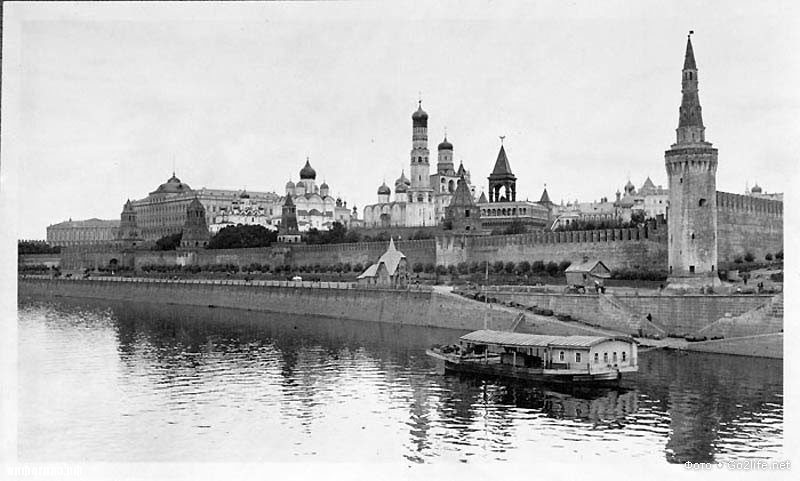 Lenin’s junta was hated by everybody in Russia so much, that they needed to hide in something like a fortress, so Moscow’s Kremlin, easily secured, was the most suitable. 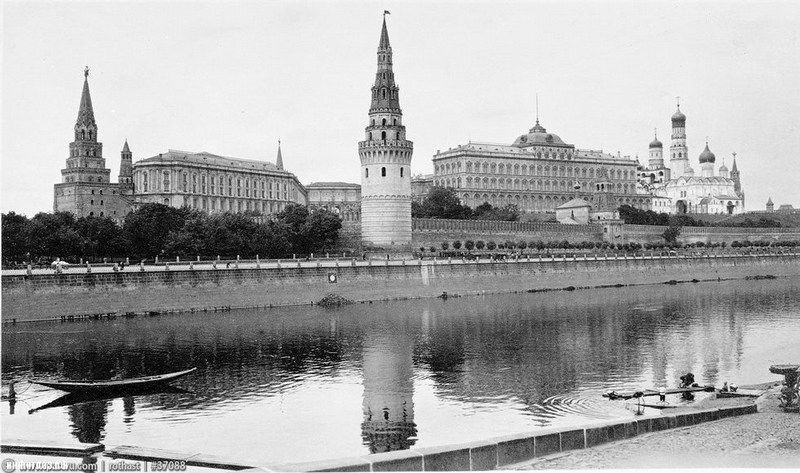 That’s how the Kremlin turned into the seat of the Soviet government. 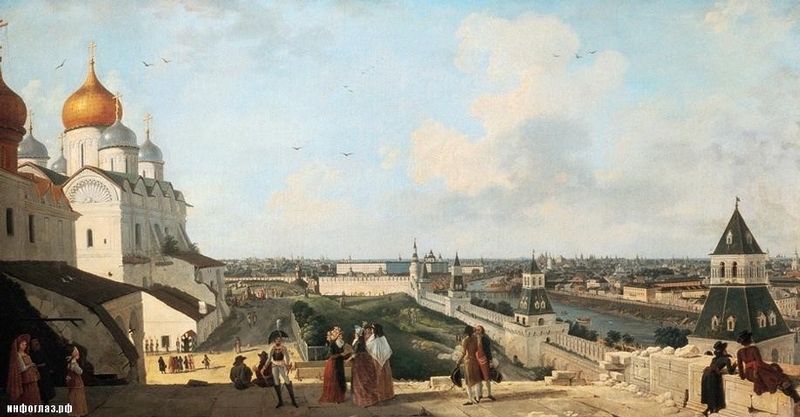 It started to rename everything “Red”: cities, streets, factories, manufactured goods. The red became official colour of the Soviets. Meanwhile, communists did not care for keeping and maintaining anything in the country, everything was decaying and falling apart, roads, factories, buildings. Nobody repainted Kremlin either, so it’s become brick-red, and they just left it as it was, since Red Kremlin fit official colour nicely. 2nd reason is practical. 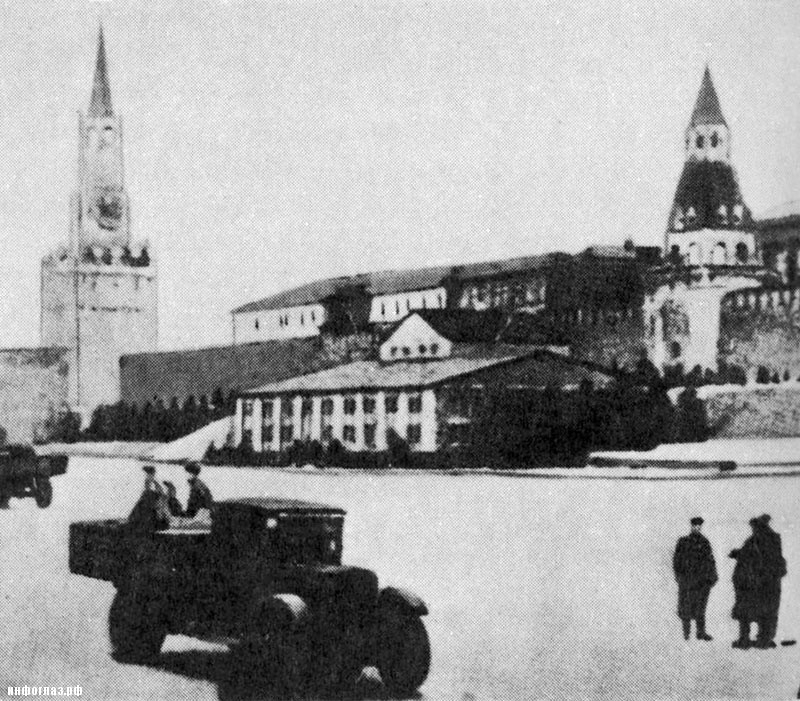 Since communists shot people by tens of thousands (literally), the blood was much less visible on the red walls. I like how it looked in white. IMHO the color choice was better then. Why the Russians love so much red? Well they’d need a colour that doesn’t symbolise imperialism OR communism, wouldn’t they. I wonder what colour the original stone was. The Kremlin walls are built of red bricks. English-speaking people call it World War Two or the Second World War. 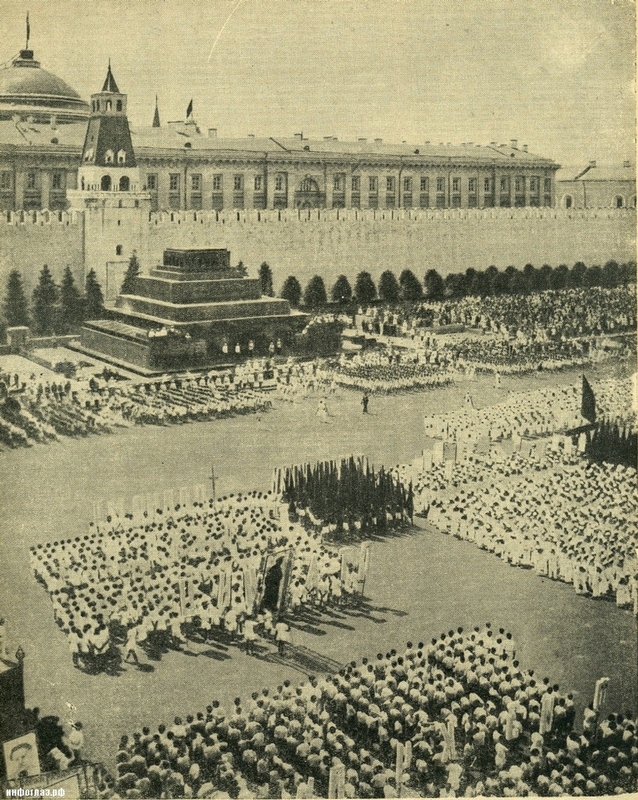 Almost nobody knows what “the Great Patriotic War” is.